This is another dish that I whipped up in a hurry last week. I had a pack of thinly sliced rib eye that I got at HMart (our local Asian food store) that I marinated with 2 tbsp soy sauce, 1 tbsp sesame oil, 2-3 tsp. sugar and garlic powder and ground black pepper. I let the meat sit in the fridge for at least one hour and then pan fried it in a little oil until golden brown. I also made kabocha or squash rice to go with it. This is a staple in our household since this is my girls favorite dish. 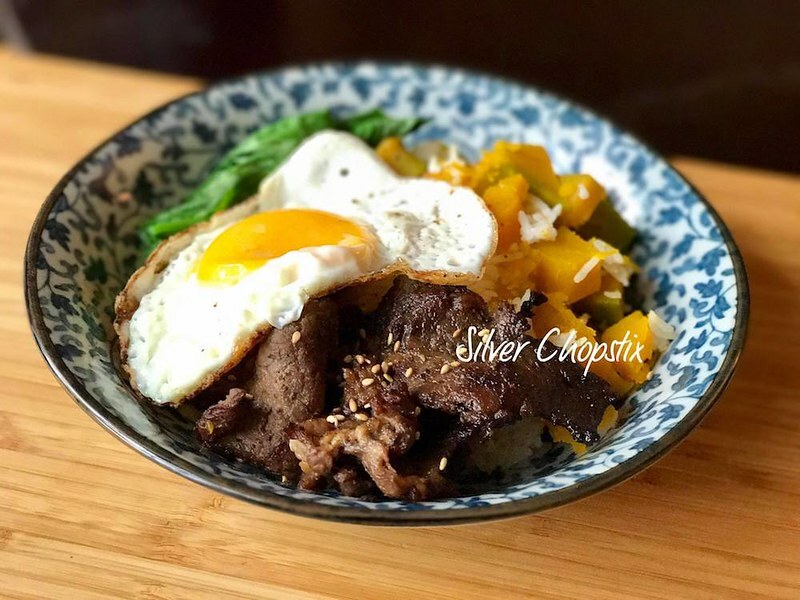 I usually make this in my rice cooker. The recipe can be found here. 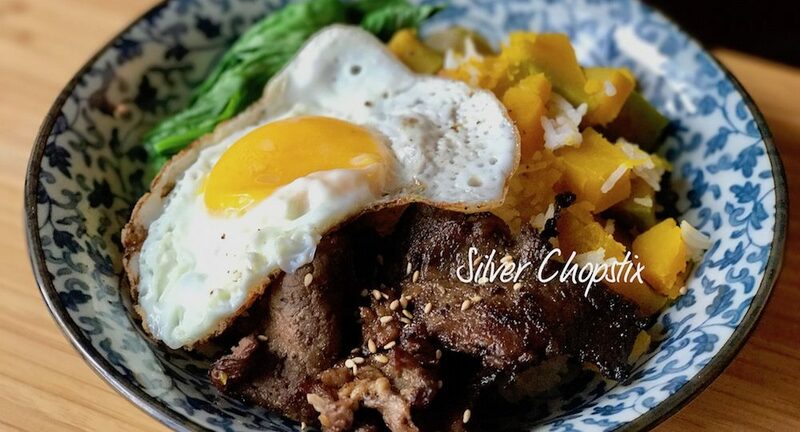 To serve, scoop some squash rice onto a bowl then your beef slices. 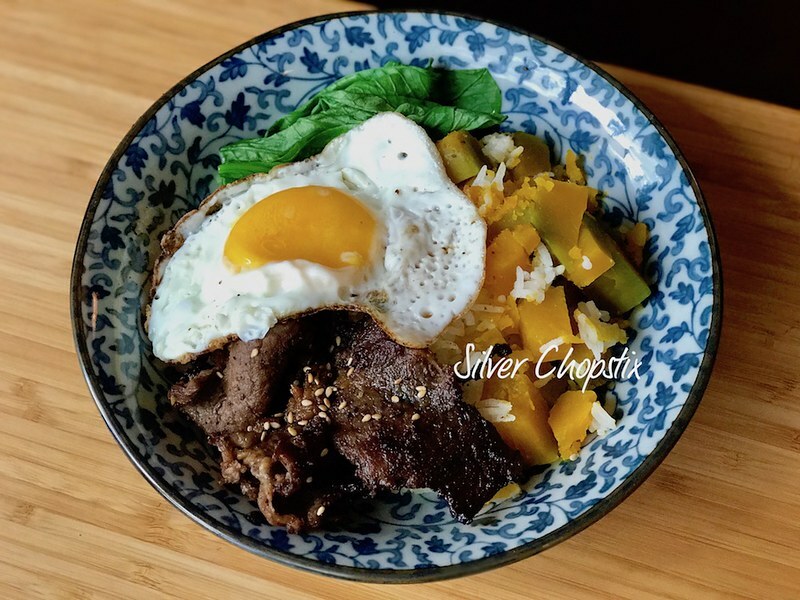 I topped this with a fried sunny side egg and added some steamed yuchoy. Our family always need to have some sort of greens with our meal.